For the past few weeks now, SwiftKey has been testing their new cloud feature in their beta program. Today, the new feature comes to all SwiftKey users through an update in Google Play. And for those who haven’t learned how awesome SwiftKey is yet, the app is half off right now so you can get started. With SwiftKey’s new cloud backup and sync your personalization options are saved to the cloud under your account name. That means that you should expect the same suggestions for typing across your multiple phones and tablets as long as you have your account logged in. They have also added tending words, so if something is blowing up on Twitter, you could expect to see it suggested as a word on your keyboard. These are all in addition to adding better learning sequences to the keyboard and new settings to make this update a very solid one. 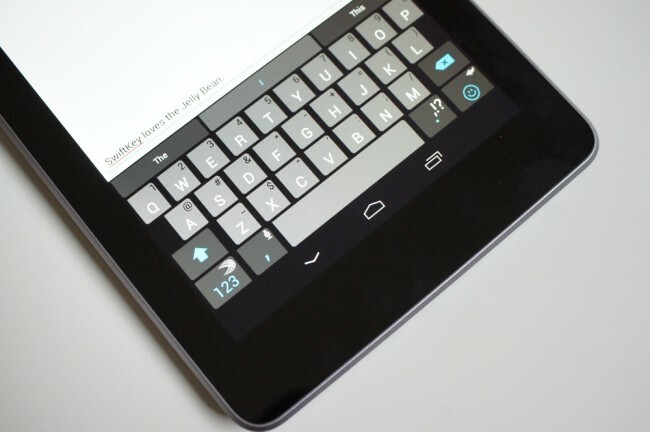 If you are not using SwiftKey yet, this might be your time to start.